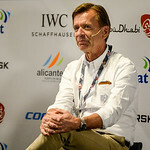 2014 Volvo Ocean Race - In-Port activities including press conference, pre and post race activities dock side. 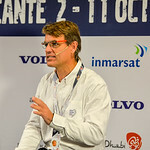 October 4, 2104 - 2014 - 2015 Volvo Ocean Race, Alicante Spain. 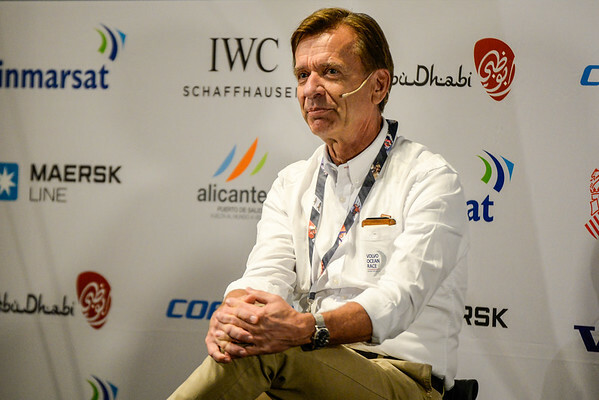 The race is not only the world’s longest professional sporting event and but is also the leading offshore sailing competition. This is the 12th edition of the race. October 4, 2104 - 2014 - 2015 Volvo Ocean Race - In-port race, Alicante, Spain. The race is not only the World’s longest professional sporting event and but is also the leading offshore sailing competition. This is the 12th edition of the race. The in-port race is a warm-up to the official start of the 2014 - 2015 Volvo Ocean Race. Team Alvimedica finished in 1st place. Abu Dhabi Ocean Racing was 2nd, MAPFRE was 3rd, Team Brunel was 4th, Dongfeng Race Team was 5th, Team SCA was 6th, and Team Vestas Wind as 7th. 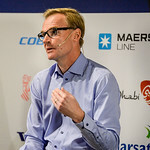 Hakan Samuelsson CEO of Volvo Cars during the CEO Press Conference.